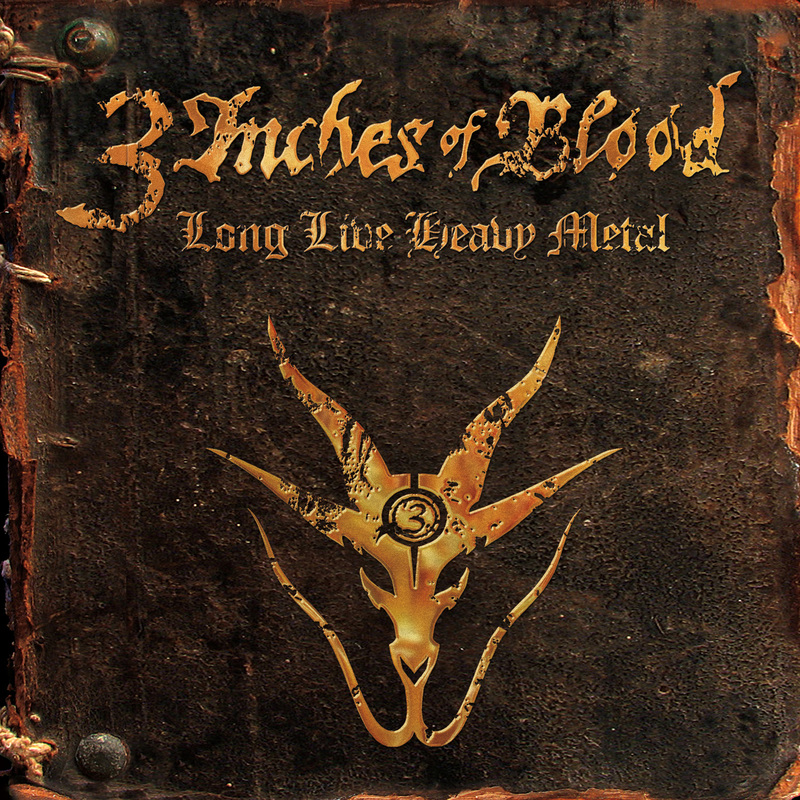 The Canadian heavy metal band 3 Inches of Blood has a method to their metal madness. Early on in their career, they found their groove and their musical comfort zone and the settled in. The band has released four albums and has shared the stage with such heavyweights as Machine Head and Ozzy Osbourne. In a weird twist of circumstances, their 2009 album Here Waits Thy Doom was their first album that didn’t include any of their original members. Here we are, ten years after their debut album Battlecry Under a Wintersun was released and they haven’t really strayed from their original formula. It has won them over a legion of devoted fans, but is it enough to keep their interest for yet another release? Let’s put this album on and crank it and see what it has to offer listeners. The album opens up with “Metal Woman” and the intro riff conjures up visions of old school Iron Maiden. The thumping bass line takes over and then Cam Pipes enters the song with his trademark voice. Is the song cliché? Is it tongue in cheek? Does it really matter because in the end, it just rocks! “My Sword Will Not Sleep” continues in the same vain with an added standout performance on drums by Ash Pearson. The guy’s a beast on this track! “Leather Lord” is up next and with a title like that and the 80s influences; you may be asking yourself if this is an ode to Mr. Rob Halford of Judas Priest? Well, I will let you be the judge of that one after you do an air guitar solo to some serious shredding by the two guitar attack of Justin Hagberg and Shane Clark. There also some rough vocals added to this song that bounce off Cam’s normal delivery really well. “Chief and the Blade” is one track that totally took me by surprise. The song has a mellow and tranquil intro that includes a flute ala Jethro Tull. A two and a half minute instrumental that almost sounds like the soundtrack for a renaissance fair. There are no ear piercing screams or wailing guitar solos. Is this just a part of experimentation by the band? I’m not sure, but I guess time will tell. The last two tracks on the album are very interesting and entertaining while managing to be complete opposites of each other. “Men of Fortune” is epic in style and substance as it clocks in at over seven minutes. If one song on the album defines the sound of 3 Inches of Blood, then it would be this song. The last song, “One for the Ditch”, is another instrumental that will catch you off guard. It starts out with an acoustic guitar playing and slowly builds in its intensity. The guitar work at times has a Spanish flavor to it. As the intensity builds, so does the guitars as the chugging guitar riff starts to come in behind the acoustic. It really starts to rock out about mid-way through before ending on a calmer, somber note. In this case, the title of the album is definitely fitting. This is an ode to the metal that has preceded us and a tip of the hat is given in respect. It’s old school flavor with a touch of today’s sound sprinkled in for good measure. It’s a fun album and very enjoyable. Does the band push the envelope this time around? Well, they definitely don’t reinvent the wheel on this album, but they sure do know how to rock out and have a fun time doing so.